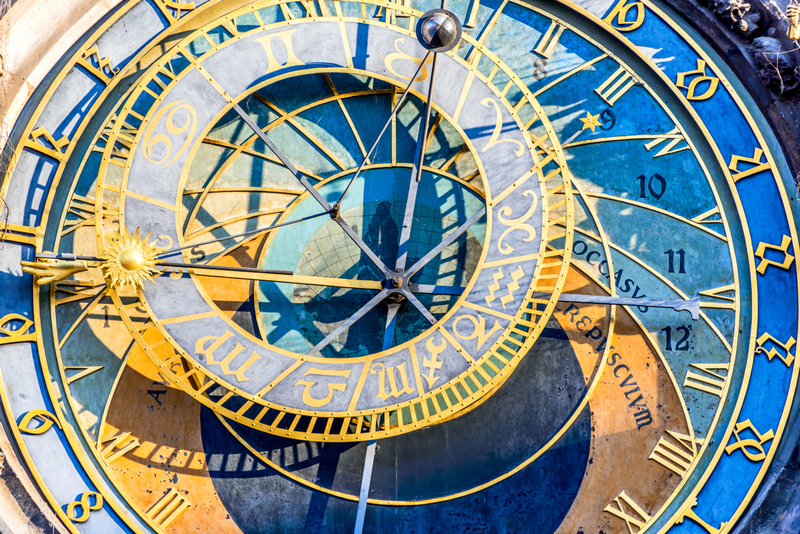 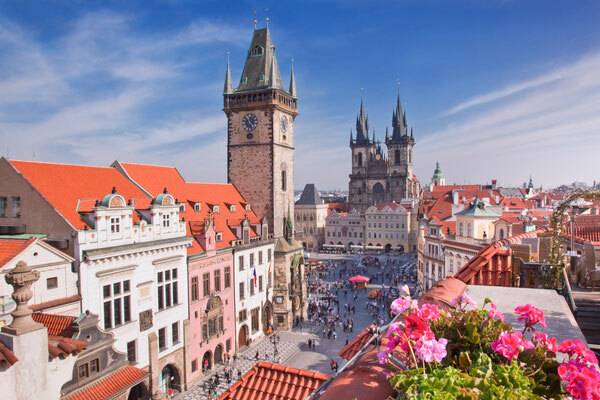 Your walk continues to the Old Town Square where you can enjoy the parade of apostles at the Astronomical Clock thinking of how it is possible that such an old mechanism can still be working. 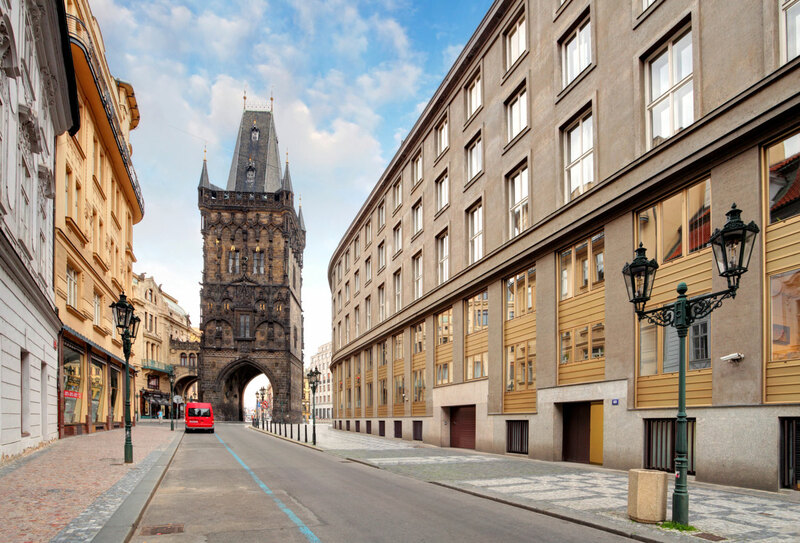 A few steps apart there is a former Jewish quarter with its synagogues, the Golem Story and the mysterious old cemetery or the art-nouveau-style Municipal House and the modern-centre Wenceslas square. 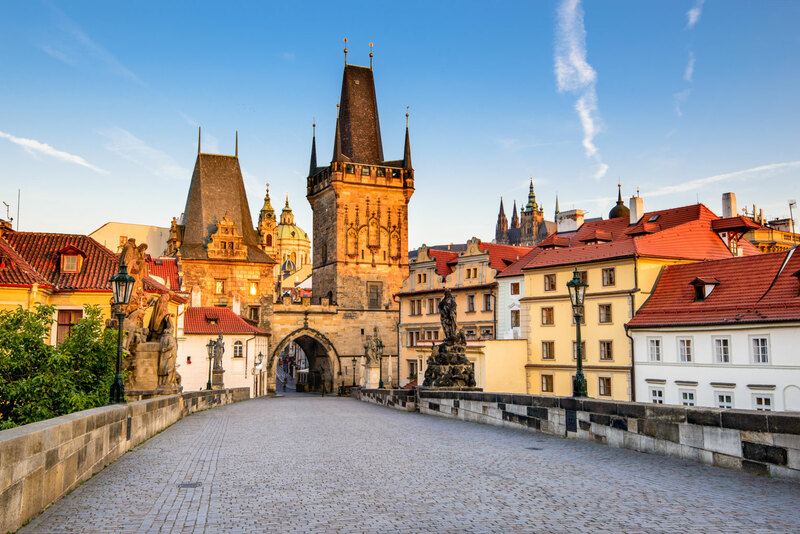 The oldest Prague bridge was built in the place of a former Judith Bridge which had been badly damaged by a flood in 1342. 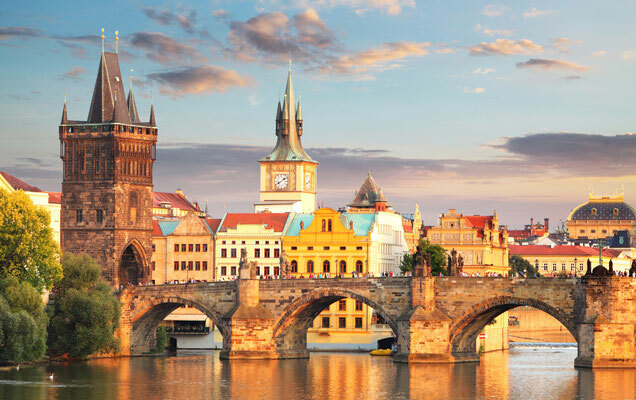 The Stone Bridge or Prague Bridge was founded by Charles IV in 1357 and has been called Charles Bridge since 1870. 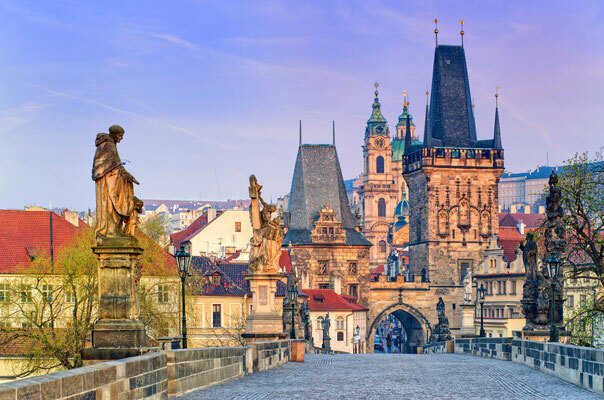 According to the latest research, its construction was started by Master Otto and finished by Peter Parler in 1402. Both ends of the bridge are fortified by towers. 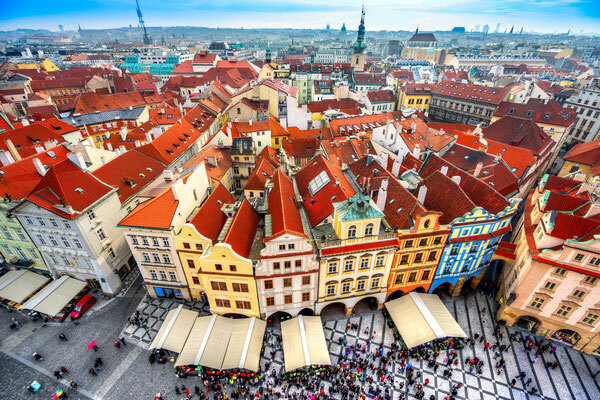 In an historical context, the Powder Tower is one of Prague’s most important medieval monuments. This is the place where royal coronation processions would commence. 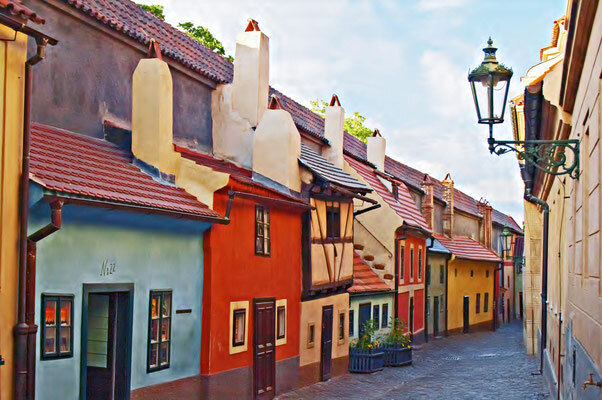 It is also the beginning and end of an important route from Kutná Hora, where silver was mined for the royal coffers. The so-called Mountain Tower (Horská brána) originally stood on this site, however. 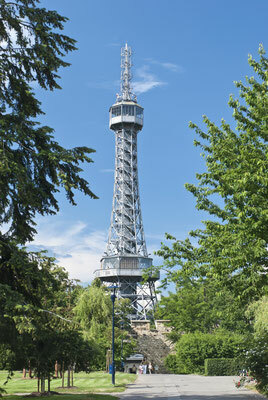 The Petřín View Tower was directly inspired by the Eiffel Tower in Paris. 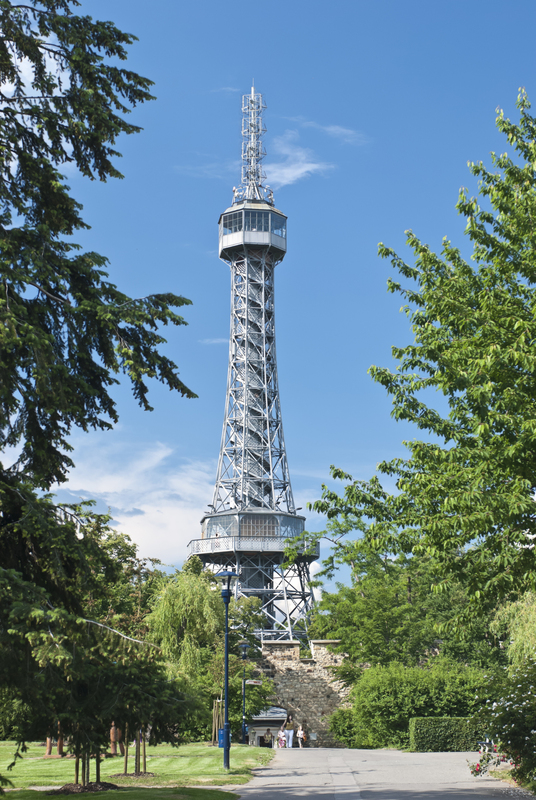 It was built by the Czech Tourist Club, which had attended the Exposition Universelle in 1889 in Paris and decided to construct a similar tower in Prague. 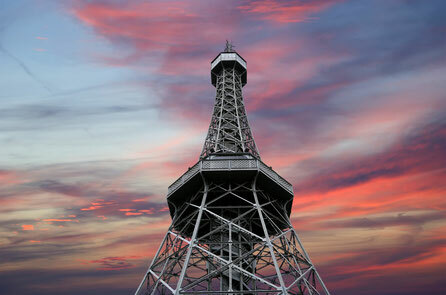 On 16 March 1891 work began in accordance with plans by the engineers František Prášil and Julius Souček. It was finished and formally opened on 20 August of the same year. 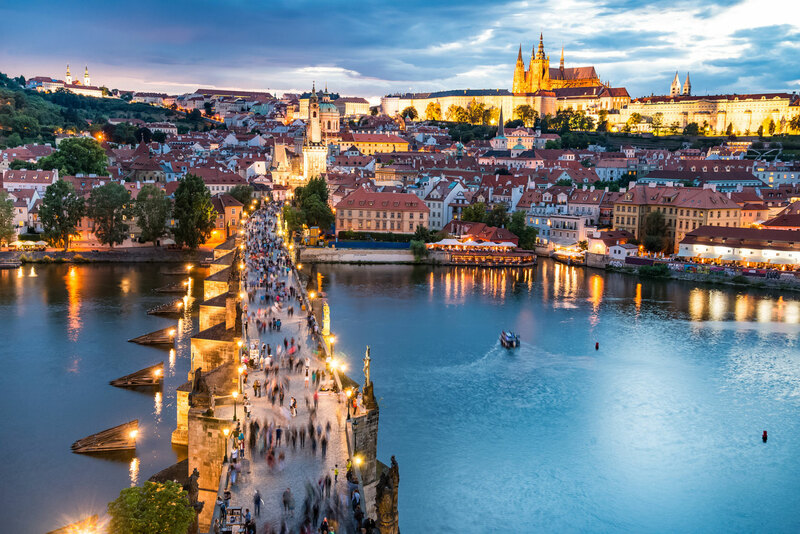 Prague monuments begin to light up after dark. 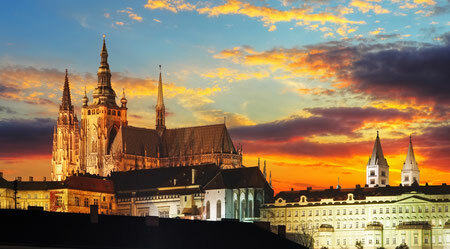 The first to light up are monuments from the 10th century, then every 3 minutes monuments of a century younger. One minute after midnight the monuments of the 21st century are first to be switched off and every 3 minutes afterwards monuments a century older follow. 1928 is considered to be the first year of this festive floodlighting. 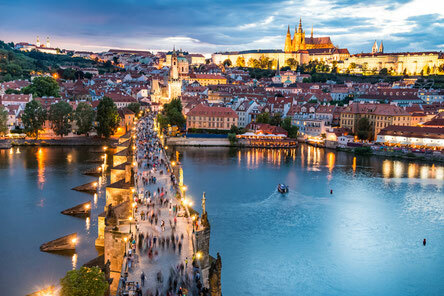 The Charles Bridge, Týn Church, Old Town Hall and Prague Castle were illuminated then.